The first talk of 2015 was held on 3 February. As Rotary Hall is being renovated, the meeting had to adjourn to the Fire Station, kindly made available at short notice. The speaker was Rear Admiral David Ledson ONZM RNZN, telling stories from the National War Memorial bells — the carillon. 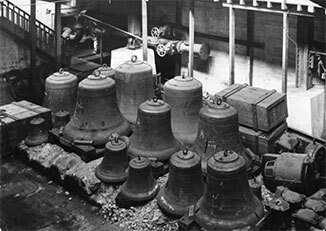 The original 49 bells were private donations in memory of World War I casualties and he focused on five bells in particular, all of which had very moving stories. For example the bell ‘Flanders Fields’ was given in memory of Leslie Heron Beauchamp, brother of famous writer Katherine Mansfield, and as noted last month, ‘Hebuturne’ was in memory of the local McHardie brothers. Rear Admiral Ledson also talked about the redevelopment of the war memorial site. The very interested audience participated in an extended discussion on this topic, which continued over supper.